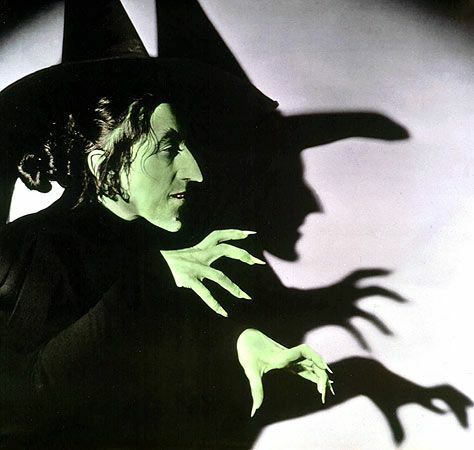 In this personal post, I’m going to be comparing my anxiety to the Wicked Witch of the West, and how this impacts me. 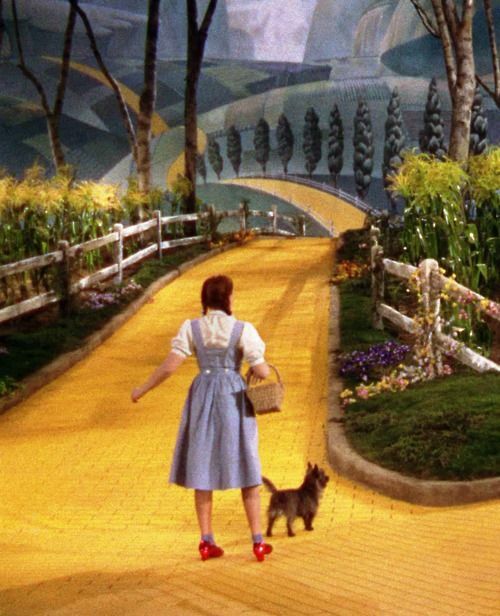 When Dorothy meets the scarecrow, she is at a fork in the road unsure which direction to go to get to the Wizard. While the scarecrow does not have a brain, they work together and make a decision to go in one direction – and that is where her story continues. However, when it comes to me – I may feel like Dorothy at the fork in the road when it comes to making a big decision. However, I do not have a scarecrow to join me on my adventure, nor do I have the ruby red slippers to click my way home. Moreover, this is where my anxiety gets the better of me. In a way, I see anxiety as the Wicked Witch of the West throwing challenges in my pathway. Now, being realistic I know that every path will be different in life, and we all face challenges. However, with anxiety – that realistic and rational thinking becomes clouded over and the unknown triggers all of those insecurities therefore creating a battle inside you that makes battles in Game of Thrones look like playtime. I was diagnosed with anxiety back in 2015 after a series of events that challenged me, from a messy break down of a relationship to grieving the loss of a friend. All of these events happened one after another kicked open many past feelings I placed in an emotional box. As much as I remember being sat in my GPs office feeling numb while she was writing my prescription for antidepressants, it was a relief. I finally knew why I self-doubted myself. I finally knew that when it came to making big decisions, it was not just me “overthinking it” and trying to look at a way to go backwards. When you look at depression, people describe this as the Black Dog. I see my anxiety like the Wicked Witch of the West – except I cannot throw water at her, let her melt away and go on my merry way. If you know the Wicked Witch’s pre-story, Wicked, then a number of fears from others creates this evil persona when really all she wants to be loved. So when I look at my anxiety, it’s similar where a number of my fears has created this villain, when actually it’s a need for me to love, and be loved. However this is not all singing and dancing through life! Anxiety doesn’t make me who I am – more like a companion who pops up when it’s totally inappropriate or at a bad time. When Dorothy is starting to let go of her fear and travelling to see the Wizard of Oz, that’s when the Wicked Witch starts appearing to scare her – so how can Dorothy relax and enjoy her adventure when this villain keeps appearing out of the blue? Imagine that, but constant in my every day life – including decision making. I use the analogy of the “fork in the road” as it best describes where I am at – both in life and my mental health. Some days, I’m confident and will stride towards one direction but then there’s days where I’m really doubting myself and my one step forward turns into 3 steps backwards. I remember saying to a counselor that every time I have to make a big decision, I am at this fork in the road and I am in a battle between my head, my heart and my gut (or courage). It is the uncertainty of the direction I am going to go that triggers my anxiety. On one hand, I could be making the right decision however have to go through tough barriers to get there. Or on the other, I could skip down the path and realise the final destination is not what I actually wanted. There’s been times recently where I’ve had to face big decisions which, as much as I talked about it to others and listened to their thoughts, it did not stop my anxiety get the better of me. There was this one day where I felt everything, in relation to a recent decision I was looking at to make, was just flying by – conversations, tasks, planning etc. – and I became so overwhelmed with the thought of making the decision, I ended up having an anxiety attack on my way home from work. I could not stop crying, or catch my breath to the point I had to stop and try to compose myself. Not so easy to do when in public and you don’t want to draw attention to yourself! Eventually I managed to get home and once I locked the door, I just grabbed my blanket off my sofa, curled up in a ball and let it all out. Once I emotionally drained myself out – I got in a hot bath, got into my pyjamas and crawled into bed. I just wanted to go to sleep, wake up and find everything is fine. However, when you know the decision is looming, sleep and anxiety do not always go hand in hand. You have to sometimes take a step back and rationalise the pros and cons of each direction in life. This is certainly not easy when rationality and anxiety do not particularly get along! I finally made the decision where I took a step back from the risks and decided to play it safe, and start a path where there is some barriers but I know I can overcome them. There is that self-doubt that is still whispering in the back of my head where my “Wicked Witch of the West” will keep popping up, but whatever my decision is, it’s my choice – not the Wicked Witch of the West’s. But to look at the positive side of the fork in the road, I learn my lessons from it. I have learnt to not make the same mistake twice, no matter how much it may be “different the next time round”, or that it is ok to go down the easy route if you know you’re not up for the big challenge. Because with anxiety, any challenge, no matter how small or large it realistically is, is still huge. In my life, I know there is going to be many fork in the roads, and my Wicked Witch of the West will keep popping up throughout my journey. However, each big decision I face will eventually help me skip down the yellow brick road to the destination I want to be at.